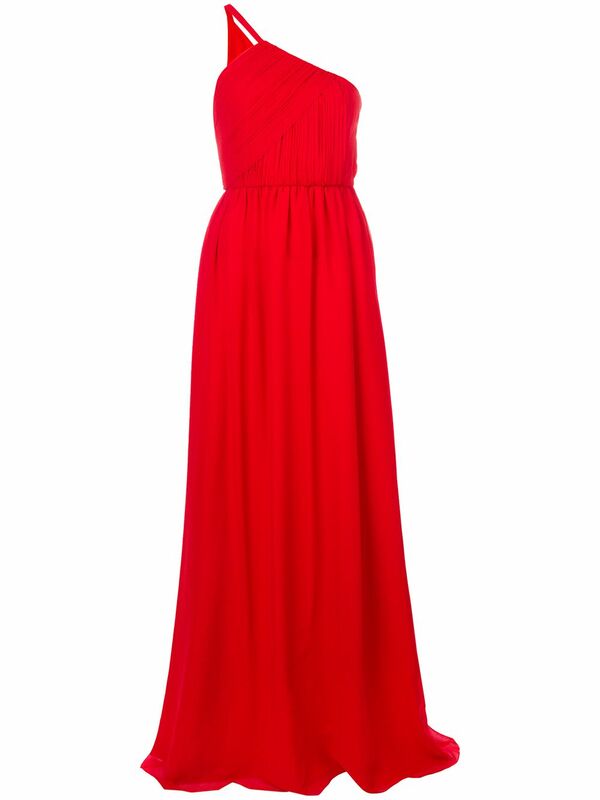 Lanvin one shoulder evening gown in Red Fashion Sale | Shop sales online with Fast Delivery! Long renowned for their refined elegance, Lanvin continues to evolve under the creative direction of Olivier Lapidus. Modern stylings meet luxury sensibilities, as each piece is constructed with a timeless couture-worn care. This elegant red silk one shoulder evening gown from Lanvin features a side zip closure and a fitted waist for a classic feminine silhouette.